At Liberty Home Solutions in Springfield Missouri we are your one-stop bathroom remodel company. 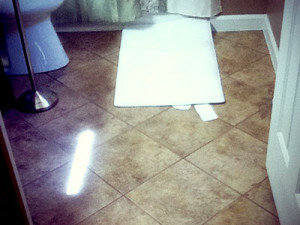 Bathroom floors are an important aspect of bathroom remodeling. 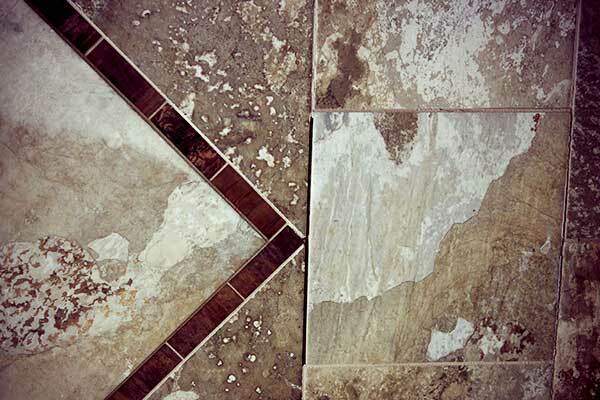 We offer and install several types of bathroom floor tiles as well as back-splash and decorative tile. 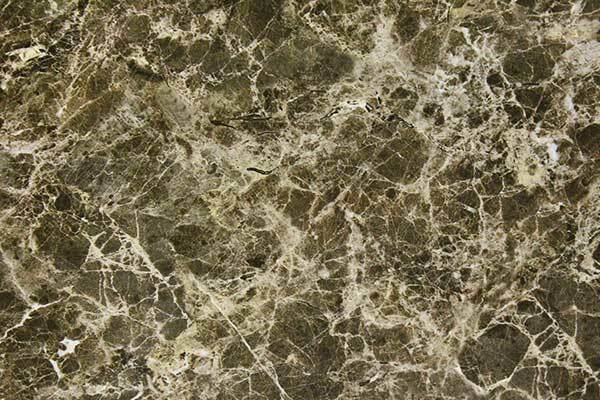 This Includes natural stone tile (granite, marble, slate and limestone), ceramic tile, mosaic glass tile and porcelain tile. At Liberty Home Solutions you are the designer. Our goal is to be able to take your perfectly dreamed about bathroom and create this in our work. 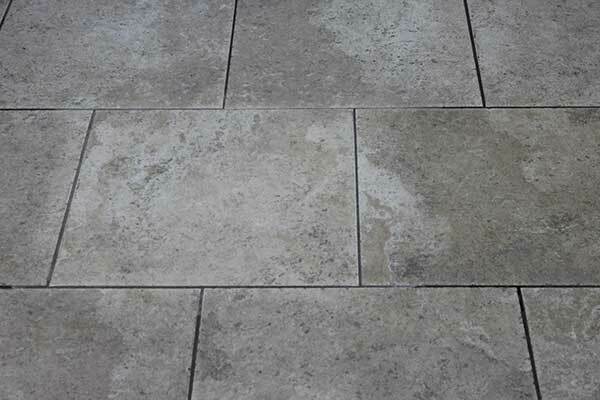 Please select the tile material and you will be directed to that page. 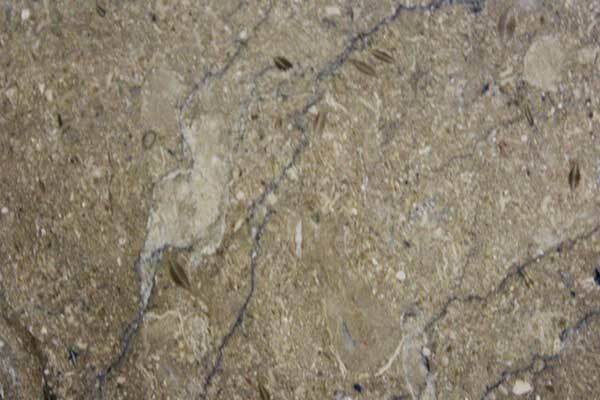 We offer a wide range of bathroom floor tiles which will create the prefect bathroom remodel design for you and your family. No matter what your personal style tastes may be, Liberty will be able to bring your vision to reality with our bathroom tile. 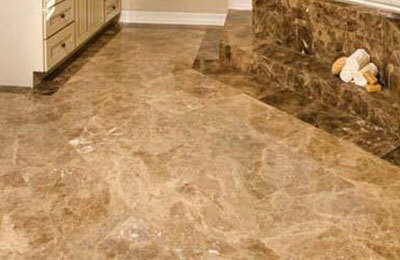 Liberty Home Solutions in Springfield Missouri is a ceramic tile floor installer for our bathroom remodel service. 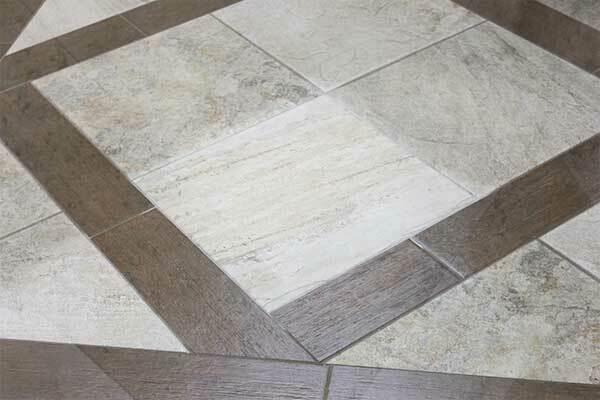 In Springfield, Nixa, Ozark, Branson and the greater Ozarks area, ceramic tile is one of our most popular tile flooring options we install for our homeowners. 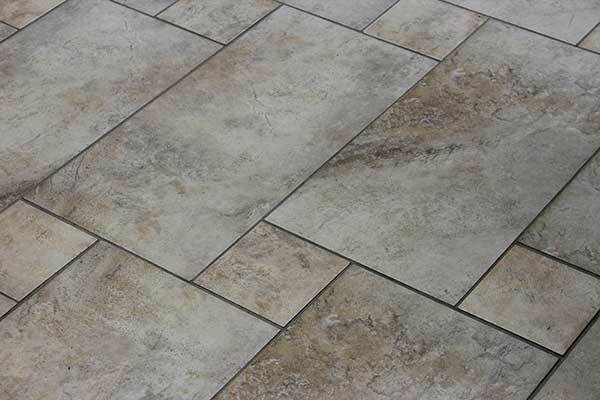 Ceramic tile is beautiful, tough and enduring floor and wall covering material. 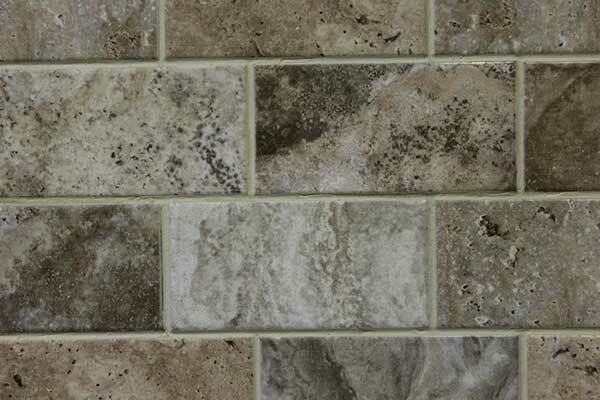 Ceramic tile by Liberty Home Solutions is available in almost any color or pattern you can imagine. 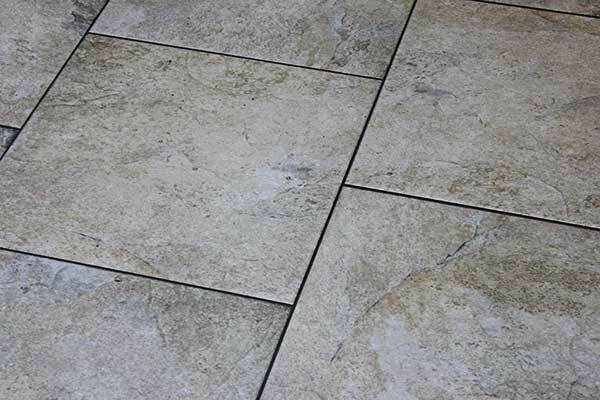 Apart from the beauty of ceramic tile, it is resistant to practically 100% of all the common sources of wear endured in a bathroom floor. Except for dropping a sharp, extremely heavy object on the floor, this could be considered indestructible. 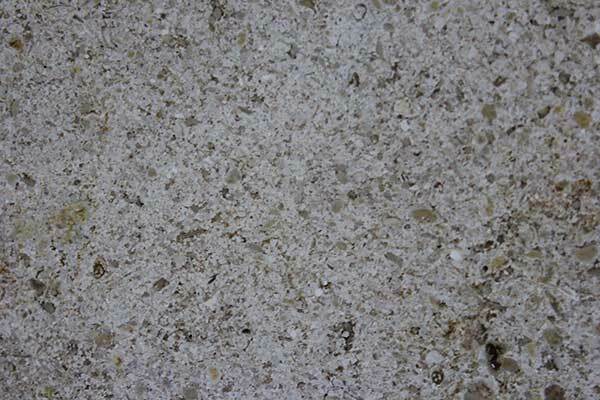 Durability: Ceramic surfaces have a relatively longer life compared to most of the other materials used for bathroom floor and wall covering. 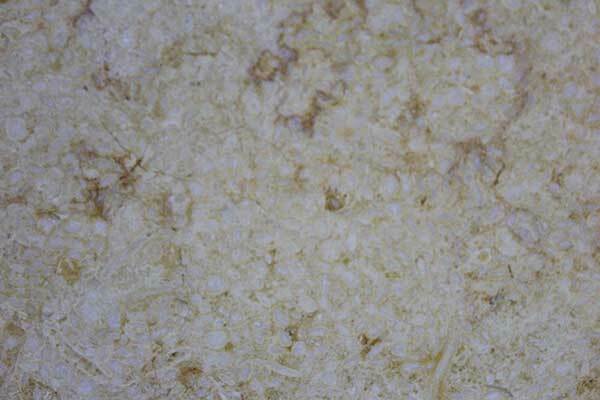 Fire Resistance: Ceramic tiles are fireproof. They will not burn, or give off toxic fumes or smoke. 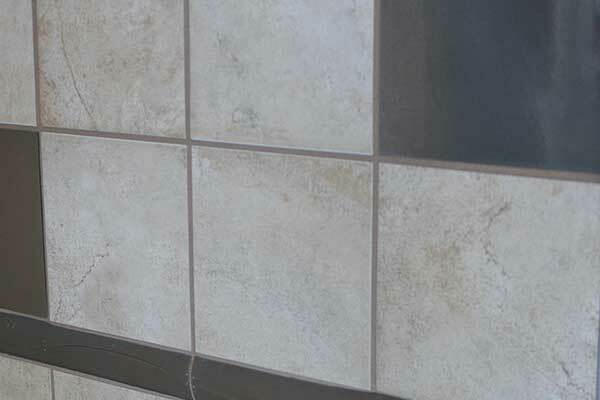 Moisture Resistance: When properly installed and grouted by our tile installation team, ceramic tile is nearly impervious to water. 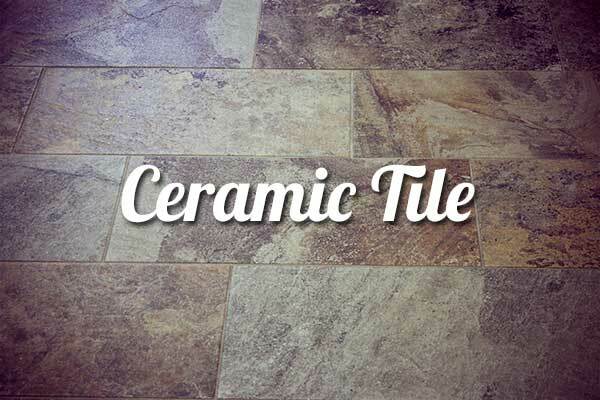 Ceramic tile has less than a 0.5% moisture absorption rate. 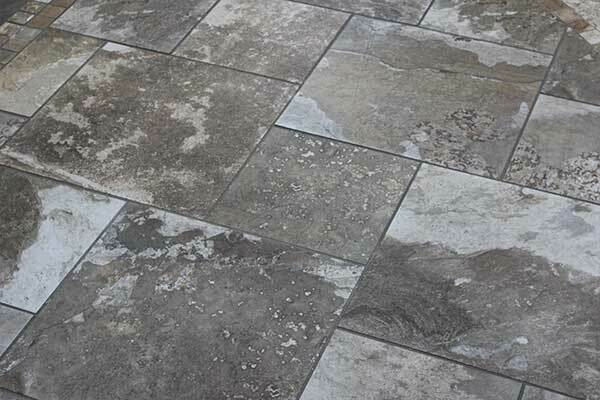 Resistance to Abrasion and Tread Wear: Ceramic tiles are commonly installed in high-traffic areas in commercial businesses. Thus, if they are strong enough to handle the wear and tear of an airport, they will handle anything you and your family can throw at it in your bathroom. 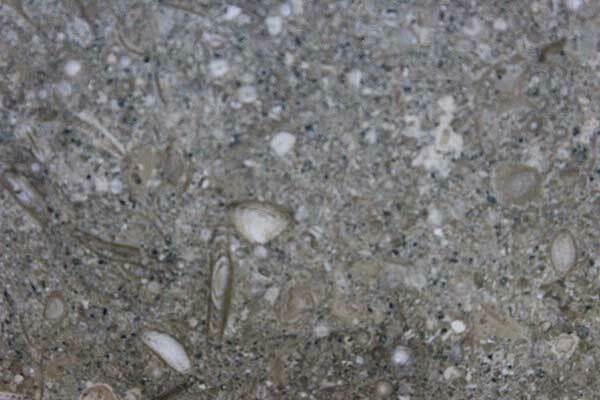 Slip Resistance: At Liberty, we offer several texture options for our ceramic tile that will give you a slip-resistant surface in your bathroom. 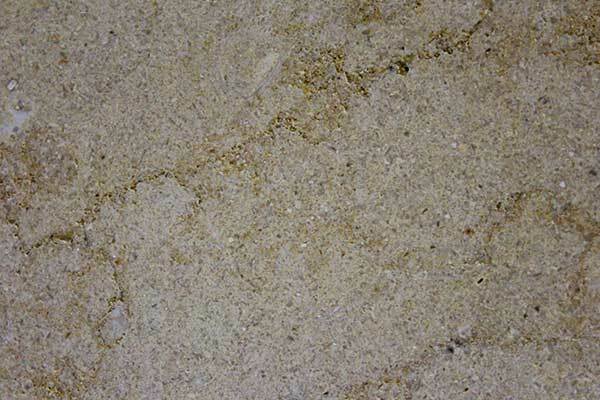 By adding an abrasive grit to the glaze or textured tile, such as studs, ribs, or orange peel finish, you will have a beautiful and safe bathroom. 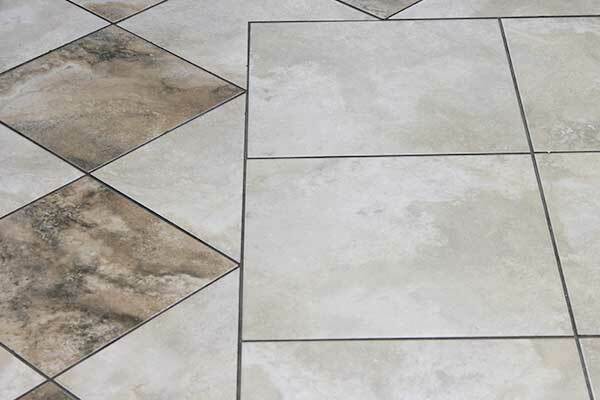 Our tile comes with several anti-slip factors defined and rated for the individual tile options we offer. 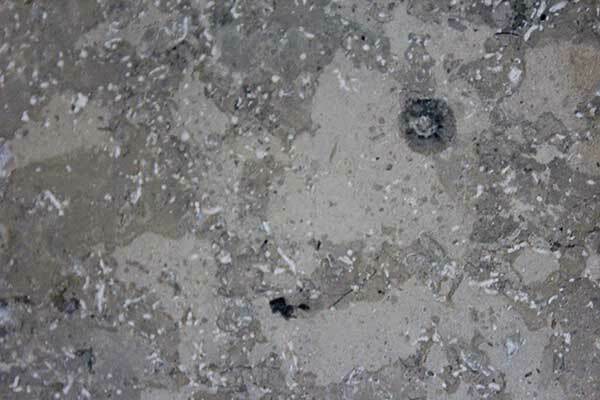 Thermal Shock Resistance: A properly laid ceramic tile floor will neither deform nor break in extreme temperature conditions. 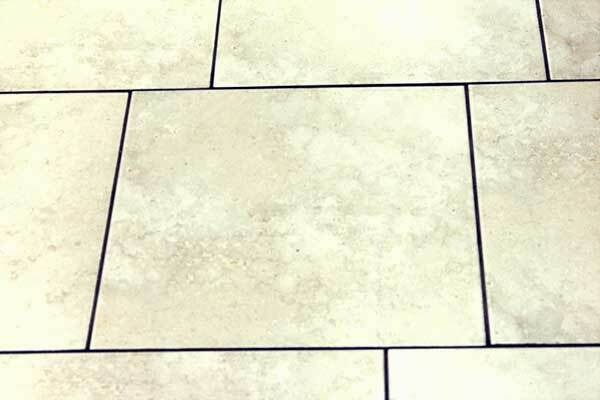 Stain Resistance and Easy Maintenance: To keep a ceramic tile surface clean, all you need to do is sweep, vacuum and wash them regularly with water. 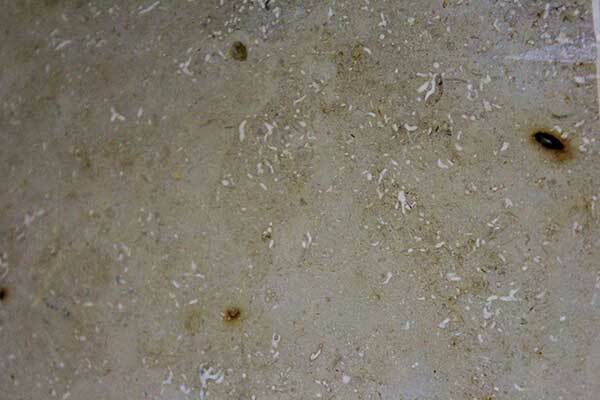 Chemical Resistance: Ceramic tile materials are highly resistant to chemical agents. 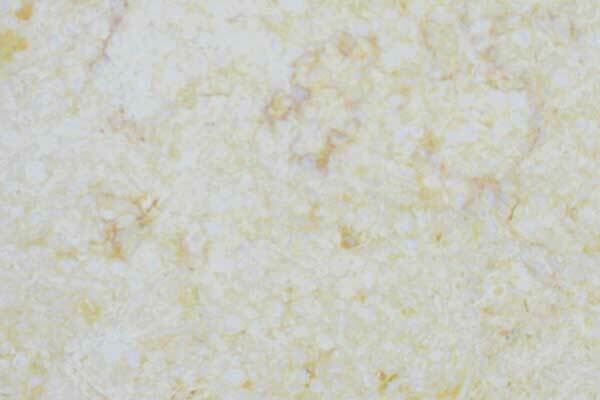 Color Permanence: Direct exposure of ceramic tiles to sunlight neither alters their color, nor causes them to fade. Hygiene: Being hygienic and easy to clean, ceramic tiles are recommended for all areas where high sanitary standards are a must. 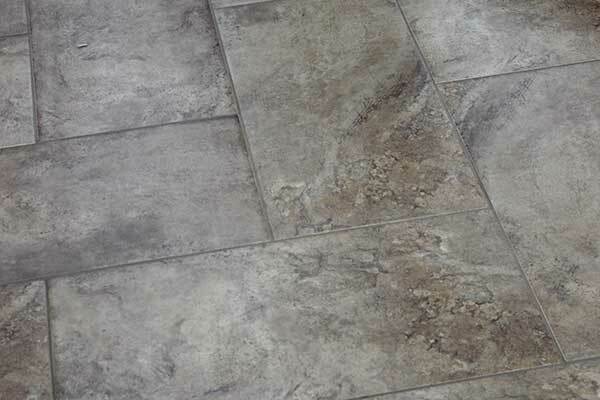 If you are looking to remodel, your bathroom and would like to install a flooring material that provides exceptional durability and unique visual appeal, then our line of ceramic tile might be perfect for your bathroom remodel. At Liberty Home Solutions, we will work with you to showcase the different colors, textures and patterns we offer for our ceramic tile. Ceramic tile provides one of the easiest to maintain bathroom flooring options on the market. 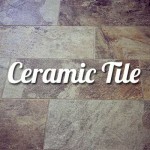 One of the biggest drawbacks of ceramic tile is that it is difficult to install. However, when you hire Liberty Home Solutions, we have a team of expert tile installers that will give you a perfect ceramic installs in normally less than a day. Your bathroom will look great, and you have a variety of beautiful finishes, textures and patterns to design your perfect bathroom. 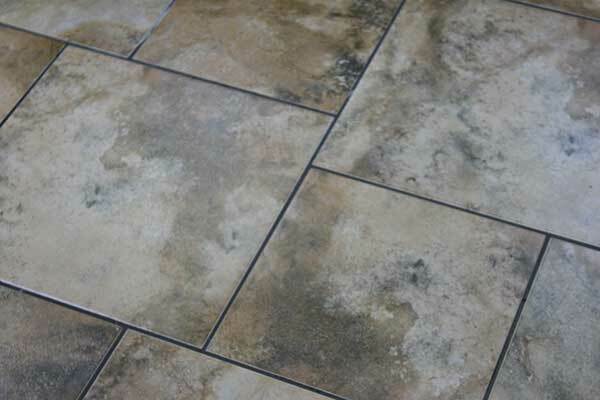 The tile will look like new, year after year, because ceramic tile is protected with a high-grade glaze which will resist wear and scratches. 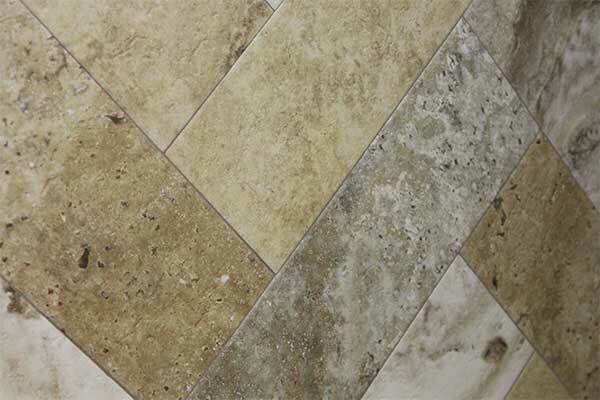 Liberty Home Solutions in Springfield Missouri offers a wide array of stone tile products. 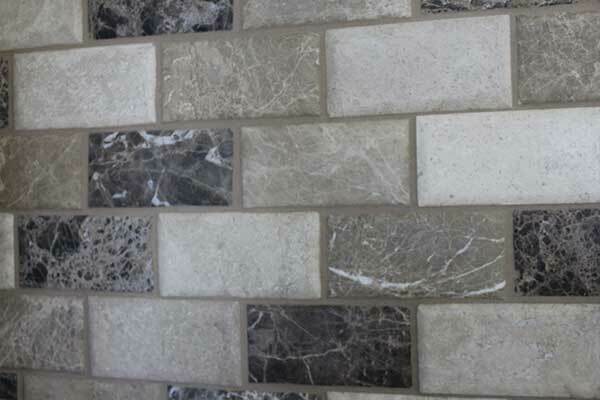 Made from limestone, marble, granite and slate, stone tiles are available in a wide range of color swatches from blues, greens, reds, golds, and crèmes. 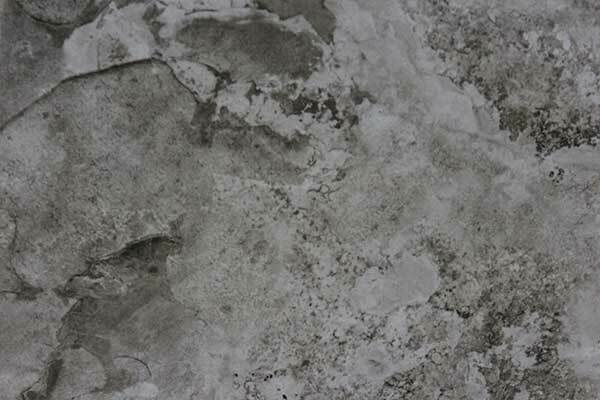 Our stone tiles also come in numerous textures which include tumbled, cleft, sandblasted, etched and flamed. 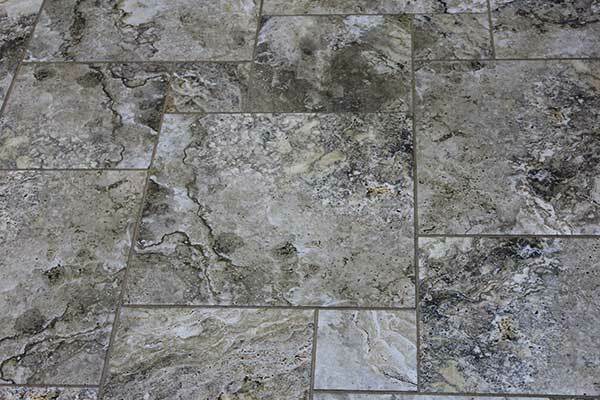 Stone tile will require higher maintenance than ceramic and porcelain tile options; requiring regular cleaning and sealing. 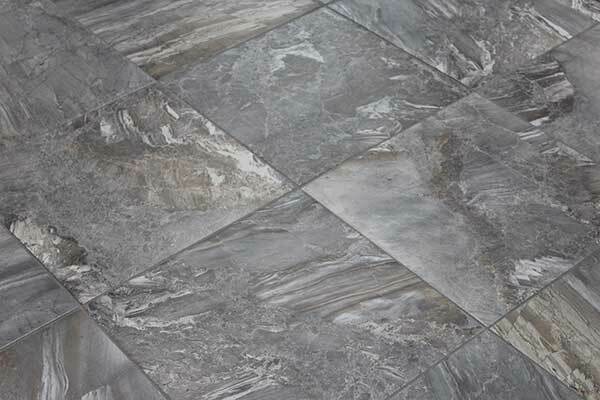 In this gallery we showcase a few options we have available for our bathroom tile flooring installation service. 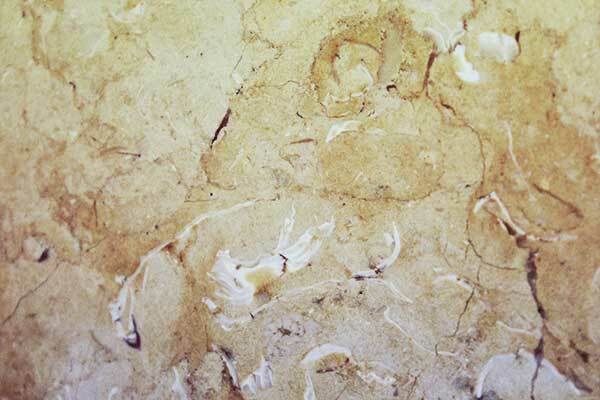 Limestone is a truly unique material with its natural veins and dramatic color patterns. 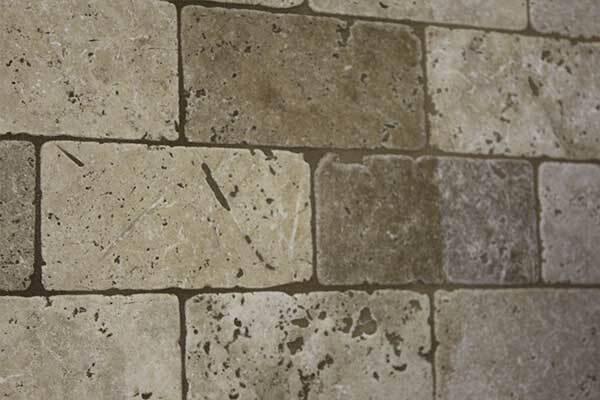 If you would like to learn more about our limestone tile bathroom flooring please call us at 417-889-3218 and schedule a free in-home or showroom estimate. What is the best tile for my bathroom? At Liberty Home Solutions when it comes to your bathroom’s floor it may seem like there is an endless amount of choices. 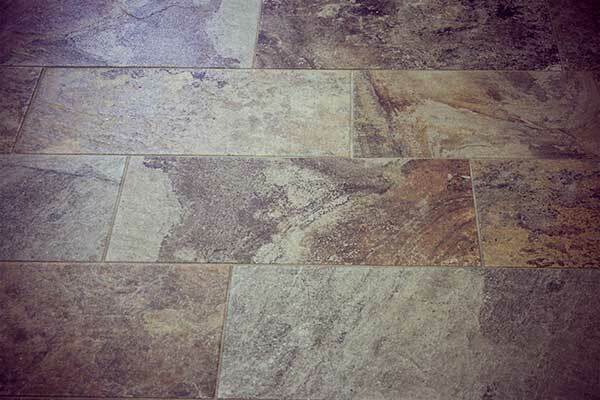 Often bathroom floors are small, averaging around 50 square feet to 125 square feet. 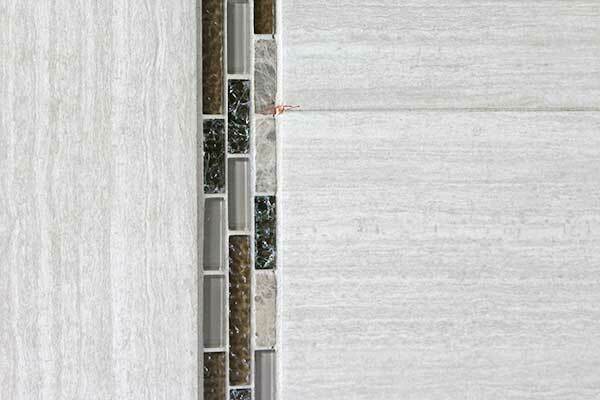 So selecting the correct type of bathroom tile, size and color is an important decision. One of the major problems when trying to select a tile is the “Google” search-world we are living in projects tiled bathrooms that are incredibly large. So how can you visualize what a certain tile will look like in a smaller space? First, at Liberty Home Solutions, we will showcase samples, allowing you to see what the tile will look like on your floor. 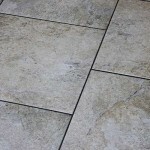 In addition, we suggest that you keep these things in mind when it comes to selecting your bathroom’s floor tile. 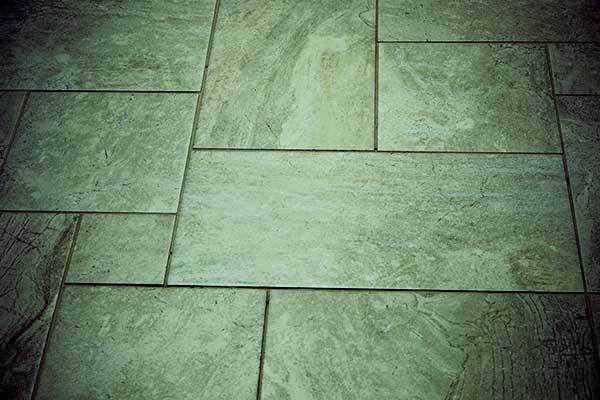 When installing bathroom floor tile, an option you have is in the pattern layout of the tile. Diagonal bathroom tile plays a clever trick on our eyes; it actually makes the bathroom look larger than it is. This is due to the 90-degree-oriented tile is easy to count, even if you’re doing so sub-consciously. When you are inside a bathroom with a diagonal tile pattern, your eye will pick up the number of tiles in a three tile by four tile bathroom. We recommended this tile layout for smaller bathrooms and their owners who want to increase the visual look and size of their bathroom. At Liberty, we like to recommend the use of lighter colors to create a more airy and spacious appearance for your bathroom tile floor. If you have a smaller bathroom, this is an ideal choice. Darker colors are great for creating depth and a dramatic appearance, but often need space to ensure your bathroom does not look boxed in. This is why our ceilings are almost always painted white. However, this does not mean you have to install white tile flooring in your bathroom. 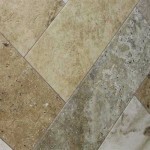 It means that you should generally choose your tile with lighter shades. At Liberty Home Solutions, we have a wide range of bathroom tiles that accomplish both unique looks and patterns, while providing light shades, which create a more spacious feel for your bathroom. At Liberty Home Solutions in Springfield Missouri, our tile installers have found a rule that seems almost counter-intuitive. 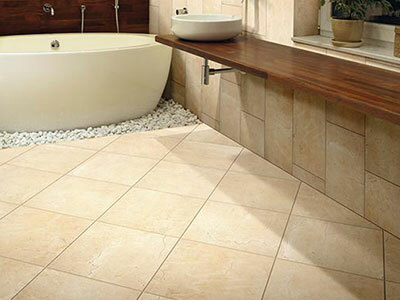 Use larger bathroom tiles to create a less cramped look. If you have a smaller bathroom, the use of larger tiles will give you fewer grout lines and fewer total tiles on the bathroom floor. This allows for you to create a more spacious feel because the eye is not being drawn to all excessive lines and tiles in a small space. 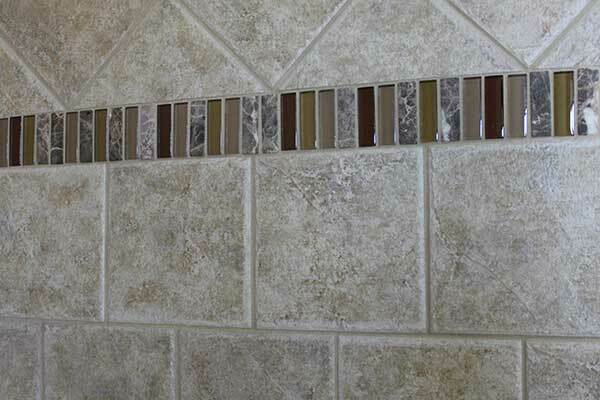 Grout lines when added up begin to feel almost grid-like, creating a boxy feel for a bathroom. 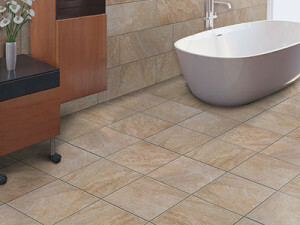 So with the use of large tiles, you have the ability to make your bathroom seem spacious and larger than it did before. Liberty Eliminates The Stress, Time-Consuming, Expensive Bathroom Remodel! Liberty Home Solutions walk in showers also provide you with an extensive array of options, coming in various sizes, colors, styles and of course accessories. We offer you all the luxuries so that your bathroom will be completely transformed, but by being a locally owned company, with zero franchise fees to pass on to our customers, we can do this for less, all while providing you with the highest quality walk in shower system, installed professionally the right way, with a lifetime transferable warranty. Next give us a call at 417-889-3218, schedule a free in home consultation or a showroom appointment, and either Bob, Steve, or Jermey will personally meet with you to discuss the different options and how they will look, operate, and adapt to your lifestyle of today and for your lifestyle of tomorrow. We will give you a price estimate for your bathroom remodel and showcase different financing options available. You will then take as much time as you need to make a qualified decision, we encourage our clients to call us with any questions that may arise after we leave, or invite us back to answer any additional questions. Again, laid back, low pressure, the way it should be, we understand this is an important decision for you and your family, and we are only here to help ensure you have the best possible new bathroom, for a fair and honest price, that includes a lifetime transferable warranty. We have been a locally owned and operated business over the last seven years, and we are not going anywhere. Why Remodeling Your Bathroom in Springfield, Missouri is a Great Investment! Is It Time To Remodel Your Bathroom? Ready to Convert Your Tub to a Shower?